You can setup automatic notifications so you are informed immediately each time there is activity on your Payment Rails account. There are no additional fees from Payment Rails for any of the notifications. If your business uses Slack, we highly recommend using the Slack notifications. If your business doesn't use Slack for team communication, we highly recommend checking it out. Payments: a new payment is created, a batch is processed, a payment is returned with an error, etc. Recipients: a new recipient is added, a recipient is updated or deleted, etc. Admin Users: A new admin user added, user is updated or deleted, user password is requested to be reset, or was reset. Payout Method: A new payout method was enabled, or disabled or updated (e.g. PayPal, Mobile Money) on the account. 1. Go to your user Profile in the top right corner of the dashboard, and click on your name or avatar, now select Notifications. 2. You can now select which notifications you wish to enable or disable. Just enable the toggle switch for each, and they will automatically update and save immediately. 3. To disable notifications, just disable each one using the toggle switch. Super easy. 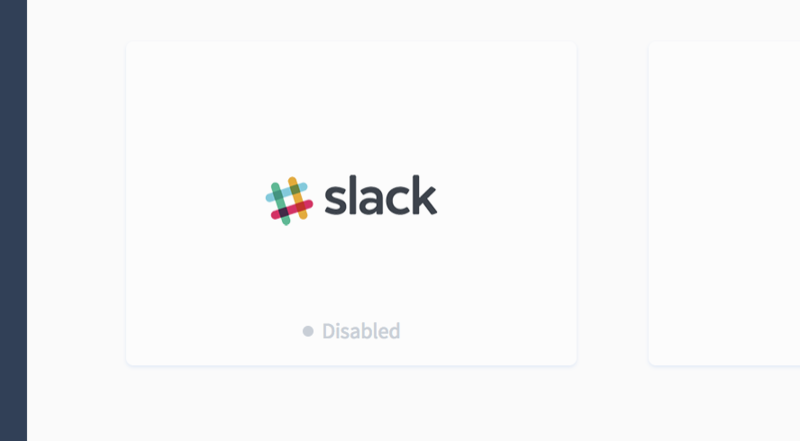 To enable Slack notifications, the 'Owner/Signing Officer' user of the Payment Rails account will first need to connect your Slack account, which can be done under: Settings > Integrations > Slack. As Slack is a team based platform, the user with the 'Owner/Signing Officer' role will be the person able to choose which Slack notifications to enable/disable for the team. For Email and Text/SMS notifications, these are set individually by each user. 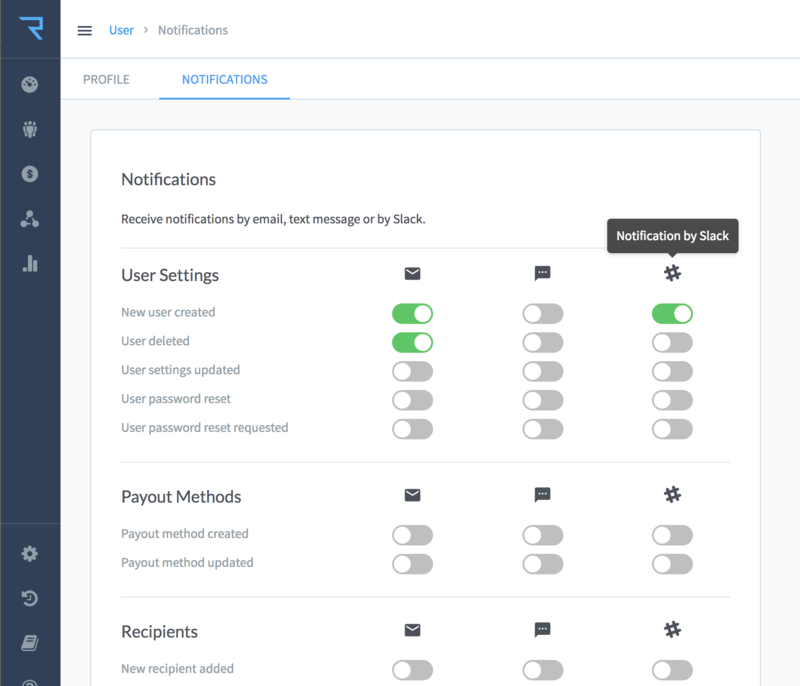 Insider Tip: For Payment & Batch notifications, we strongly suggest to enable the Batch related notifications and not the "New Payment Created" notification, in order to not bombard yourself or your team with too many notifications, such as if you send a batch of 100 payments, you likely don't want to receive 100 separate notifications.